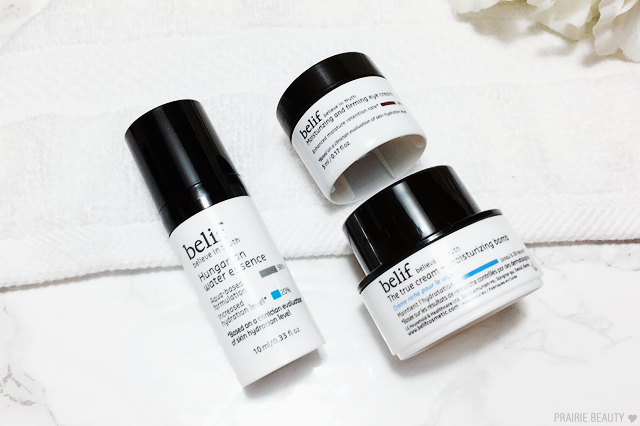 Recently, when I went on vacation, I decided it was the perfect time to finally try out some products from Belif, since they had this great little set that included (almost) everything I needed for a week away. I like sets like this that give me a chance to try things out without investing in full sizes because it allows the opportunity to try out a variety of different products from a brand and choose the ones that work best for you. I decided to do a First Impression style of review, because I prefer a longer testing period when it comes to skin care than travel sizes will allow for a full review. Still, after using these solidly for over a week I definitely have some thoughts. 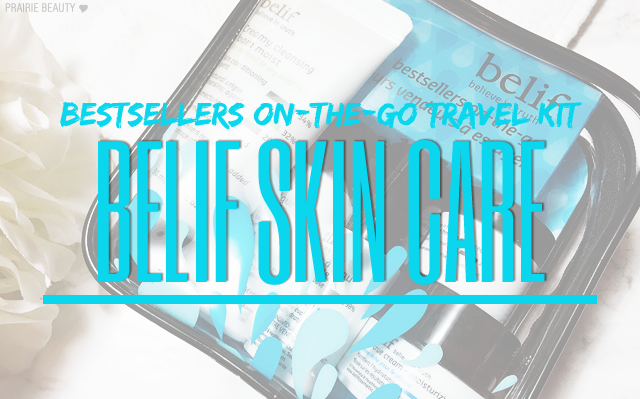 So, without further adieu, keep reading for my thoughts on each of the products from the Belif Bestsellers On-The-Go kit! 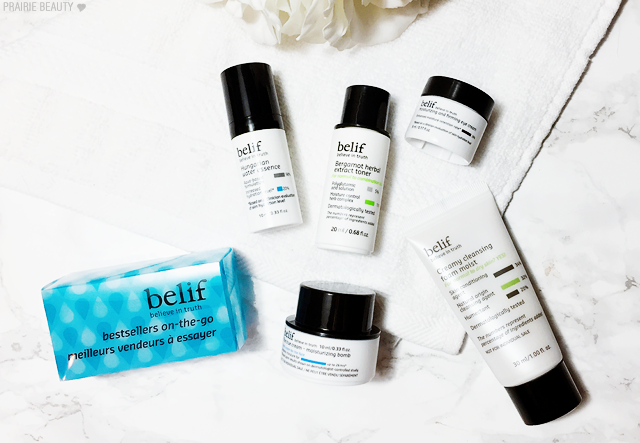 Available at THEFACESHOP here in Canada for $15CAD, the Belif Bestsellers On-The-Go set includes five products from the Belif skin care range. With a foaming cleanser, herbal toner, essence, eye cream, and moisturizer, this is a very Korean skin care regime and doesn't include any strong actives like acids or retinoids. Personally, I tend to think of the traditional Korean skin care routine more about pampering and nourishing the skin than really going at it with actives. Personally, a foaming cleanser isn't really my favorite way to clean my skin. That said, I found the rich foam of this cleanser left my skin feeling deeply clean and initially a little bit tight, but not really dried out. In fact, I actually found that after using this consistently for a few days my skin actually felt fairly hydrated after I rinsed this. I'm not sure I would purchase this in a full size personally, but as cleansers go I actually did quite enjoy using it and I found my skin liked it too. Even being away in quite a dry climate, my skin handled it very well. Not going to lie, I was expecting this to smell a lot more herbal and be a lot more intense than it was. It does have a very light scent that I found really pleasant and I didn't find it to be harsh or drying on my skin at all. In fact, I think this would be a great day time toner than I would love to put into my everyday routine. Honestly, traditional toner isn't necessarily something I use consistently, but I really did enjoy using this one so this might be a repurchase. I've used some essences in my time that I really feel have an effect on the skin, boosting my overall hydration and helping my skin to look good. This one, admittedly, have a significantly more subtle effect than that. I used this as the last step of my skin care before moisturizer and, while I did find it refreshing and that it helped to easily spread my moisturizer over the skin, it didn't really blow me away with added hydration. Overall, I feel like this is fine... but not something that I'll be likely to keep using when this runs out. I'm in love. Seriously. From the first time I applied this eye cream, I was completely sold, but as I continued to use it I just fell more and more in love. It has a rich, balm-like texture that really deeply hydrates the skin, but doesn't leave behind any heaviness or residue. I've used this both day and night and I love it for both. Honestly, I wasn't expecting this to be the product in this kit that impressed me the most, but I really did fall absolutely in love with it and will be repurchasing when this one runs out. This is a bit of a complicated one for me, because I feel like this is perfect for my skin... just not my summer skin. This is a really intensely hydrating cream that I think people with dry skin will absolutely go ham for and that I will absolutely love in the winter. For my normal to combination skin, this is just a little bit too rich and a little bit too much for summer. Still, it's a gorgeous cream and I know 100% that as soon as the weather gets colder and drier this will be a night cream that I reach for constantly. I was lucky enough to get a sample of this along with my purchase from THEFACESHOP and I am SO VERY HAPPY that I did because I'm obsessed. In the summer, I find that these Korean cream-gel type moisturizers really hydrate my skin the way I need them to, but they always feel light and fresh on the skin. While using this, my skin was basically in heaven and I could really see and feel a difference in my skin. I know this is a hugely hyped product - and now I know why. This is just amazing and I have a feeling this is going to become an every day staple for me all year long. Overall, I'm really impressed with this set, but there are a few distinct stand outs. 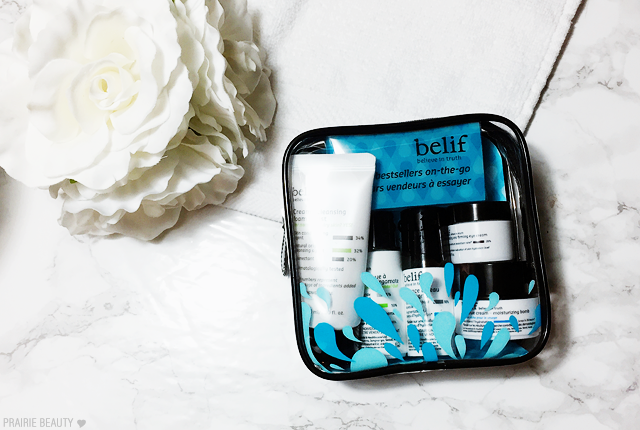 I think the Belif products have really good ingredients that help to really nourish and pamper the skin, so personally I will be injecting a few of them into my routine along with my more intense products. For me, the clear winners are both of the True Creams, though the Aqua Bomb is the one that I really fell in love with at this moment in time, and the Eye Cream, which is an instant obsession. Honestly, though, if you've been thinking about trying out anything from Belif, I highly recommend trying out this set because I think it gives a nice selection of products to try and there's undoubtedly something for everyone in here. 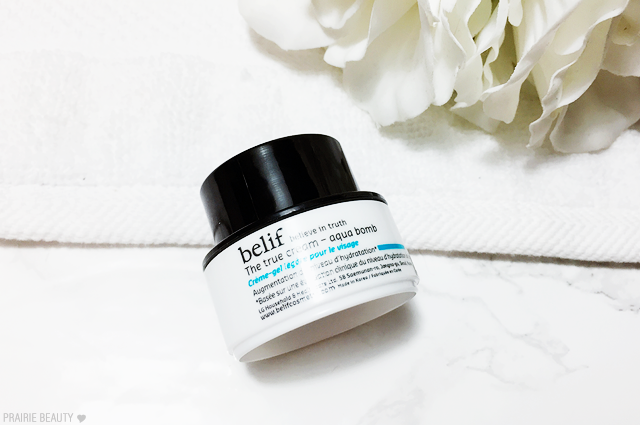 Belif products are available in Canada exclusively at THEFACESHOP and in the US at Sephora!